Charleston, SC. Robert Maniscalco will present new paintings from The Quench Project and recent sketches from the recent federal trial of Dylann Roof, a forum of justice for the Emanuel 9. Robert will also present other subjects, all relating to the theme of desire. The exhibition, entitled, “The Quench Project and the Mire of Desire” will run between July 11 through August 10, 2017 at FABulon, a Center for Art and Education, 1017 Wappoo Road, West Ashley, SC 29407. There will be an opening reception on July 15, 5-8 pm. And a Closing Breakout Session on August 8, 5-8 pm. with demonstrations, round table discussions, talk-backs and workshops scheduled throughout the exhibition period, focusing on addressing racism and forgiveness in Charleston and beyond. “We will also organize around the role of artists as the visionaries behind the current revolution of mindfulness and the champions of truth in the era of alternative facts,” says Maniscalco. With The Quench Project, Robert explores the myriad of human longings, expressing the tenacity of the human spirit to overcome great adversity, often at great cost and sacrifice, in order to quench our desires. These desires are often noble, such as those for justice, truth, forgiveness and safe water. But human desire all too often takes the form of greed, envy and the need to spread hate and fear in order to protect what we fear losing. Recognizing the thoughts behind our desires is the first step to managing our actions, and becoming instruments of peace and understanding. 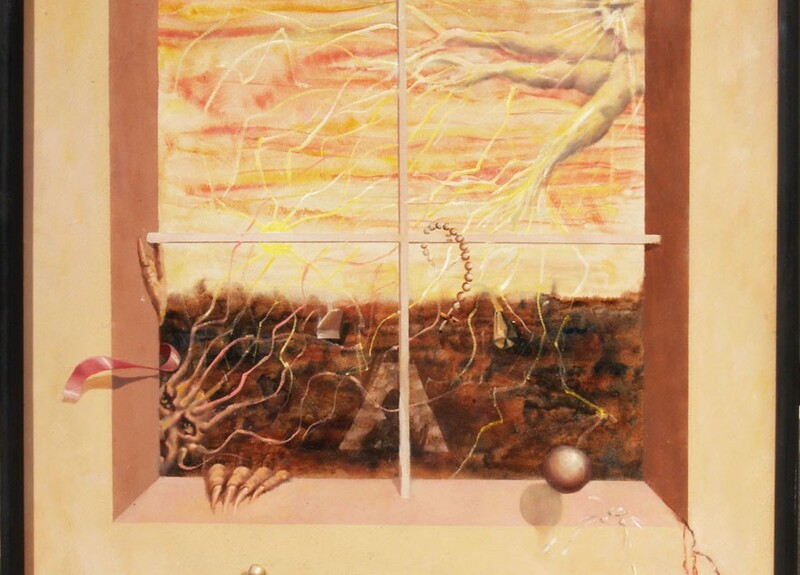 Robert has also written a big, full color book, called “Quench, reflections on God, art, water, desire and equality” and produced a short documentary, “Out of Darkness”, which can be viewed at this link (https://maniscalcogallery.com/quench-project/). The film is also available free on Amazon Prime. These will be available at FABulon during the exhibition. The Quench Project explores alternatives to societal ideas about beauty, tragedy and survival. The theme is the resilient nature of humans to rise “out of darkness.” Maniscalco, who is a survivor of child sexual abuse, has dedicated his artistic life to telling the stories and celebrating the triumph of the human spirit; specifically, our capacity to turn great adversity into victory. These are stories each of his fellow beings share in common, in our creative journey of survival. TQP has also evolved to include over 80 courtroom sketches created during the Dylann Roof Trial, which were completed from December through January 2017, in Charleston Federal Court. This trial and Maniscalco’s sketches were really more about the Emanuel 9 and the resiliency of their survivors than about this misguided, hate-filled young man. TQP is about people overcoming great adversity through actively pursuing faith, hope and love. In the tradition of the Social Realist movement, the project’s goal is to raise awareness for societal issues in Haiti, where TQP originated, as well as throughout the United States. Maniscalco doesn’t shy away from biting social and political commentary. The desire for social justice is a primary driver for Maniscalco. Water shortages, spirituality, economic inequality and racism are all part of his focus. 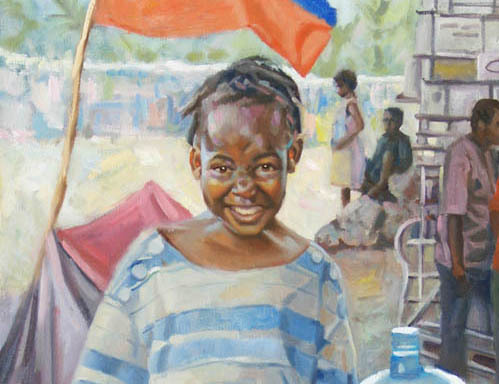 He has created a body of work, consisting mostly of Haitian subjects. More recently, he has added subjects from Rwanda and Flint, MI. His ongoing series, “The Faces of the Lowcountry” is an extension of the mission of TQP. His visionary realism has also found its way into this exhibition. A portion of sales will be donated to Water Mission and to the Bread of Life Orphanage in Jacmel, Haiti. Since 1980, Robert Maniscalco’s exquisite commissioned portraits and fine art have become part of over 850 distinguished private and public collections throughout North America. To know about the artist, you must understand his painting method is built on the classical painting traditions of Rembrandt, Velazquez, Hals, and Sargent. Like these artists, Maniscalco explores the use of light and shadow as a means of creating mood and achieving character expressively in his subjects. Born in Detroit, MI, in 1959, he is the son of the late internationally renowned portrait artist Joseph Maniscalco, with whom he apprenticed during the early 1980’s. In Detroit he founded the Maniscalco Gallery, which showcased many local and international artists. As host of Art Beat, the critically acclaimed and popular PBS series on Detroit Public Television, he explored the creative process with his celebrated guests. He has created two DVDs on painting portraits, called The Power of Positive Painting and published two other books, Point of Art, an book of inspiration around the creative process and a novel called The Fishfly, a semi-autobiography about the artist and his struggle to resolve his dark past. Quench, the book, is a radical non-fiction hybrid genre combining art, Christian literature, political commentary, and current affairs. It is full color, with 14 paintings from The Quench Project, along with dozens of photographs, 144 pages, 8.5” x 11”, soft cover, which cost $20, and can be purchased at FABulon during the exhibition or at the author’s website at http://www.maniscalcogallery.com.